What is Nectar? Nectar of Amrit is a liquid which promotes immortality to the person or being who drinks it! It is also described in spiritual books; Amrit emerged from Samudra Manthan. God Dhanvantari who is also recognized as one of the Avatars of Vishnu in Hinduism; holds the pot of Amrit in his hands. In the present world, there are several herbs which are comparative as Amrit. Giloye or Tinospora is one of them. Giloye herb is also called ‘Amrita’ which means; ‘one that never dies’. This very herb is mortal but its effects are same as immortal. It provides longevity and is highly beneficial. It is a creeper like thick bush and is found at heights up to 1000 ft above sea level. The plant is similar to other climbers and its leaves are a little bit similar to those of betel leaves. Its stem is quite thick and looks like a green rope. Few aerial roots grow from the soft stem and branches. It bears yellowish-green flowers which grow in bunches. The fruits also grow in bunches and turn red when ripe. It bears red-pink colored fruits which looks similar to peas and red currants. In India, this very herb is found in Kumayun, Assam Burma, Bihar, Konkan, Karnataka, and Ceylon. 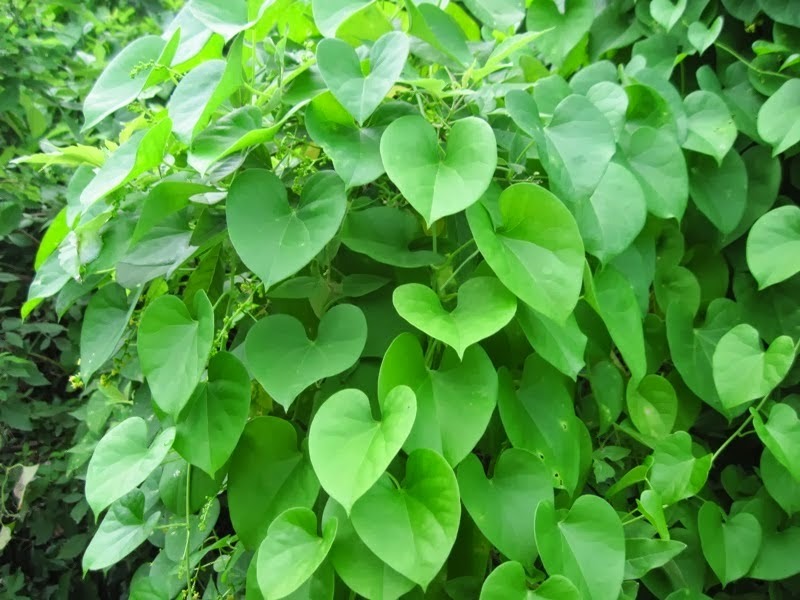 Typically, Tinospora is found in forests, at raised boundaries, agriculture field and many more. When scratched the bark comes off in layers. The plant climbs on trees and any other materials. There is a very interesting thing about Tinospora/Giloye that; it clings to trees and whatever tree it climbs on, it acquires the properties of that tree. 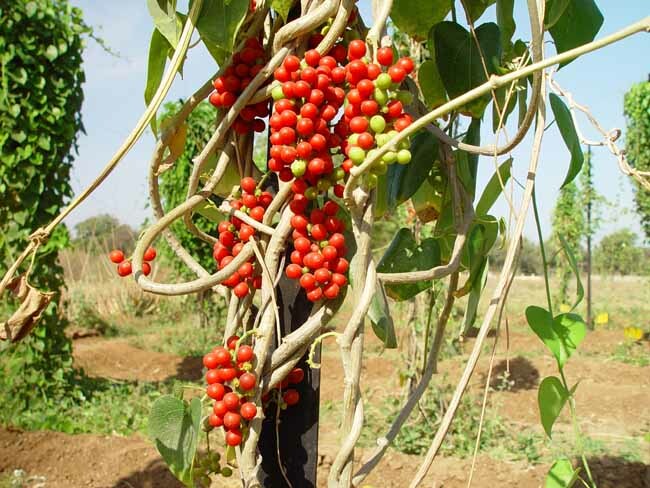 That is why Tinospora that grows on neem tree is considered to be the best. The stem of galore contains approximately 1.2% starch. It also contains tetrahydrofuran, jatrorrhizine, palmatine, berberine, choline, Tinospora acid, teetering and many more. It is anti-inflammatory, anti-allergic, anti-toxic, anti-diabetic, anti-periodic and anti-cancer in nature. Now, we will be talking about its Health benefits. You must be knowing that most of the herbal medicines contain the extract of Giloye in it. Take 11.5 gm juice of Giloye and mix 1 gm each of honey and rock salt in it. It cures cataract, scleral, corneal disorder etc. Or, prepare a decoction of Giloye juice and Triphala. Mix peepal powder and honey in it and give to the patient twice a day. Grind Tinospora in water and warm the water. Put drops twice a day in ears. Give nasya of powder of Tinospora and ginger root. Prepare the solution of Tinospora and ginger root. Give this to the patient once a day with milk. Give 20-30 gm of its decoction with 2 teaspoon honey mixed in it. Give this 3-4 times a day. Or, Grind its 20-30 leaves and mix in a glass of buttermilk. Strain the solution and give this to the patient in morning. Prepare the decoction of the equal amount of ginger root, Atees, and Tinospora. GIve 20-30 gm of this decoction twice a day. It cures Sprue and IBS. Take equal quantities of hard, Tinospora and coriander leaves. Boil 20 gm of this mixture in 1/2 liter of water till the water is reduced to 1/4th. Mix jaggery in this decoction and give to the patient twice a day. Mix 50 ml bitter oil in 10-20 gm of Tinospora juice. Give this to the patient in morning or in empty stomach. It is very helpful in Elephantiasis cure. Give 20-30 gm decoction of Tinospora and Leadwort twice a day. Give 1 gm of Tinospora extract with 3 gm honey every morning and evening. Take 18 gm fresh Tinospora, 2 gm celery seeds, 2 pieces of small pepper and 2 sticks of Neem branches. Crush them all and soak them in 250 ml water in an earthen pot at night. Next morning, grind the solution and strain it. Give this solution to the patient. Continue the treatment for 15-20 days. It cures all kinds of stomach disorders. 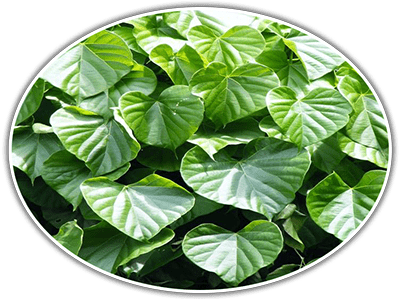 Give the juice of Tinospora 10-20 gm to the patient. Give this solution 2-3 times a day. Continue it for few months. For heavy fever, take 40 gm Tinospora and crush it. Soak it in 250 ml water in an earthen pot for overnight. Next morning crush the solution and strain it. Give 20 gm of this solution to the patient, thrice a day. Or, Take 20 ml juice of Tinospora and add 1 gm Long pepper and 1 teaspoon of honey to it. It cures fever, cough, bronchitis, and loss of appetite. Give 2-5 gm of Tinospora powder with milk twice to thrice a day. It cures Arthritis and acidity in urine. Take equal quantities of the bark of Malabar nut, Tinospora, and Yellow berried nightshade. Boil it in 1/2 kg water till the water is reduced to 1/4th. Giver this decoction to the patient with honey. It cures bronchitis, bronchial asthma, and Vomiting. Take 10-20 gm Tinospora decoction and give this to the patient with 2 teaspoons of honey mixed in it. It cures all kinds of Vomiting. Grind 10-20 gm Psoralea seeds with Tinospora juice. Take 1 liter of Tinospora juice, 250 gm paste of stem bark, 4-liter milk, and 1 kg buffalo ghee. Cook all these till only ghee is left. Strain the solution and store. Give 10 gm of this ghee in 40 ml cow’s milk twice a day. It cures Anaemia and Chronic Jaundice. Give 2-5 gm powder of Mundi with 2 teaspoons of honey and 1 teaspoon of ghee followed by 40-60 gm decoction of Tinospora. Give this twice a day. It cures Gout. Prepare the decoction with equal quantities of Winter cherry, Tinospora, Asparagus, Malabar nut and Indian Atis. Give 50-60 gm of this decoction twice a day to the patient. It cures diabetes. During this time, the patient should take only chicken soup or milk. Give 10-20 ml juice of Giloye with 2 gm powder of Bashan bed and 1 teaspoon of honey mixed in it. It is beneficial in curing difficulty in micturition. So guys, in this way we saw how this small herb can be so useful. It is simply a miracle in the present world. Similar to this, many miracles are present around us. Get conscious and utilize these resources which are free of cost and highly beneficial. Take care and Live well! It is very important tree for health. Thank you for the prescription. Can you please tell me if we can eat Giloy plant fruits or berries ? The medicinal parts of Giloy is its stem, roots and leaves. The side-effects of Giloy is not majorly know, so it is better to stay at safe side. One must avoid its fruits for better. Thank u so much for such a nice information. It is good to increase blood platelets too. Hence a perfect solution for Dengue patients. Any light on this Please. Giloye is good for all. Apart from being used as medicine it can even be used regularly to boost immunity. In case of dengue, it should be regularly taken for the proper cure.